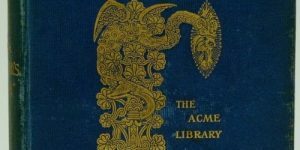 John Webster (1580 – 1634) was an English Jacobean dramatist best known for his tragedies The White Devil and The Duchess of Malfi, which are considered by many as masterpieces of the early 17th-century English stage and a worthy addition to the Classic Literature Library. His life and career overlapped William Shakespeare’s. Webster’s life is obscure, and the dates of his birth/death are not known. Despite his ability to write comedy, Webster is best known for his two brooding English tragedies based on Italian sources. 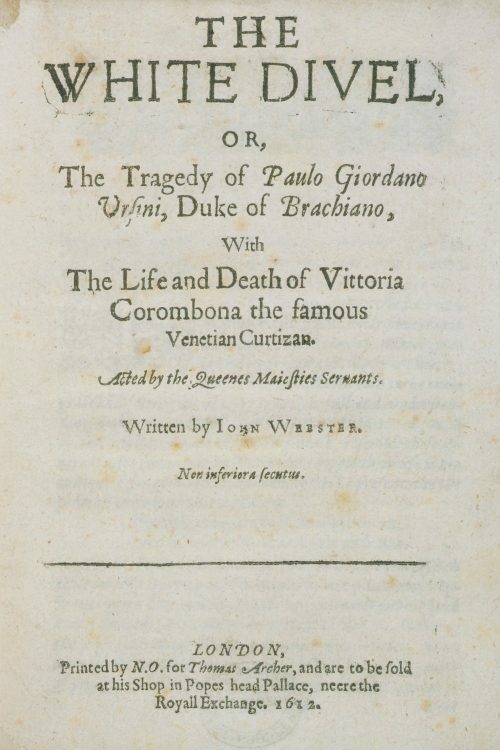 The White Devil, a retelling of the intrigues involving Vittoria Accoramboni, an Italian woman assassinated at the age of 28, was a failure when staged at the Red Bull Theatre in 1612 (published the same year), being too unusual and intellectual for its audience. The Duchess of Malfi, first performed by the King’s Men about 1614 and published nine years later, was more successful. He also wrote a play called Guise, based on French history, of which little else is known as no text has survived. His father, a carriage maker also named John Webster, married a blacksmith’s daughter named Elizabeth Coates on 4 November 1577, and it is likely that Webster was born not long after in or near London. The family lived in St. Sepulchre’s parish. Father John, and Uncle, Edward Webster, were Freemen of the Merchant Taylors’ Company and Webster attended Merchant Taylors’ School in Suffolk Lane, London. On 1 August 1598, “John Webster, lately of the New Inn” was admitted to the Middle Temple, one of the Inns of Court; in view of the legal interests evident in his dramatic work, this is possibly the playwright. Webster married the 17-year-old Sara Peniall on 18 March 1606 at St Mary’s Church, Islington. A special licence had to be obtained to permit a wedding in Lent, which was necessary as at the date of their marriage, Sara was seven months pregnant. Their first child, John, was baptised at the parish of St Dunstan-in-the-West on 8 March 1605 or 1606. Bequests in the will of a neighbour who died in 1617, indicate that other children were born to him. 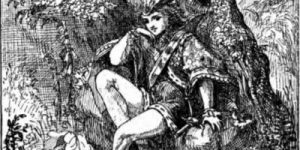 Most of what is otherwise known of him relates to his theatrical activities. 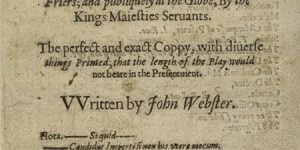 Webster was still writing plays as late as the mid-1620s, but Thomas Heywood’s Hierarchie of the Blessed Angels (licensed 7 November 1634) speaks of him in the past tense, implying he was then dead.